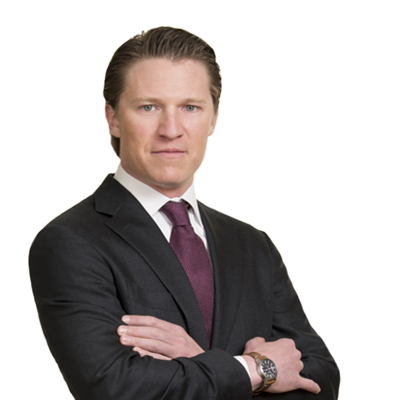 Andrew Orr is a litigator with a broad range of experience in complex litigation in state and federal courts across the country. His practice includes matters involving personal injury, copyright, commercial disputes, products liability, agriculture, fraud claims, shareholder litigation, and healthcare. He joined Taylor Anderson LLP from the New York office of Kirkland & Ellis LLP. Andrew has represented companies of all sizes, from owner-operators to global public companies, as well as special committees, student organizations, non-profits and individuals. He has extensive experience in all stages of litigation, from pre-dispute counseling through discovery, dispositive motions, trial, and appeal. He maintains an active pro bono practice that focuses on civil liberties issues. Represented snack manufacturing corporation in admitted negligence action based on multi-vehicle accident. Obtained favorable verdict limiting damages after five-day jury trial in federal court in Georgia. Defended one of the world’s largest agricultural companies in case arising from trucking accident involving catastrophic injuries. Achieved favorable settlement during voir dire in California state court. Defended owner-operated automotive service company against personal injury claims in Colorado state court based on trucking accident. Represented real estate investment vehicle in personal injury litigation arising from accident at apartment complex resulting in numerous fatalities. Represented national directory publisher in copyright and contract litigation over stock photos in federal court. After being retained following liability phase of bifurcated trial, achieved verdict reflecting less than 1% of the $750 million claimed damages. Represented television provider in seven-day breach of contract arbitration, achieving success on all claims as well as attorneys’ fees nearly doubling award. Successfully defended challenge to arbitration and fee awards in New York state court. Represented major health insurer in billing disputes with providers in federal courts in Maryland and Connecticut. Defended pharmaceutical company in fraud-based litigation brought by state attorney general in Louisiana state court. Defended special committee in stockholder class action alleging breaches of fiduciary duties arising from controlling shareholder buyout. Case settled favorably on the eve of trial in Delaware Chancery Court. Represented technology company in dispute with activist shareholders. Obtained favorable result for client on the eve of trial in Missouri state court. Defended social media company in securities class action in federal court in New York. Represented hedge fund in connection with unsolicited effort to acquire pharmaceutical company. Defended algorithmic trading company in securities class action in federal court in New Jersey. Obtained favorable settlement while motion to dismiss was pending. Represented LGBT rights group in multiple actions defending state ban on so-called “conversion therapy” against First Amendment challenges. Won summary judgment and successfully litigated multiple appeals ultimately resulting in denial of certiorari in the United States Supreme Court. Advised religious student organization at public university on First Amendment implications of responses to series of hate speech incidents on campus. Provided free legal advice to various at-risk individuals including natural disaster survivors and domestic violence victims. Taylor Anderson blog - How Independent is Your Contractor?